In a large bowl, whisk together cake mix, water, butter, and eggs. Spoon into 24 muffin tins lined with parchment cupcake papers and bake in an oven preheated to 350°F for 18-21 minutes, or just until the cake springs back when touched lightly with a finger. Cool cupcakes completely. (Place in freezer for 15 minutes before frosting to really firm up the cake). 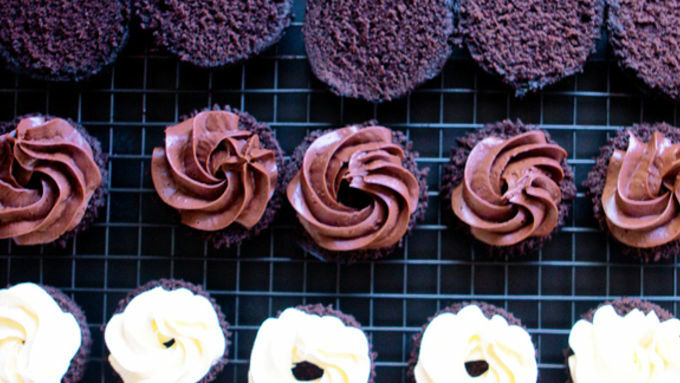 With a VERY sharp knife, gently slice the top off each cupcake, then slice the remaining bottom portion of the cupcake into two pieces. Fill a pastry bag fitted with a large star tip with Betty Crocker™ vanilla buttercream frosting. Pipe on top of the bottom layer of each cupcake. Fill a pastry bag fitted with a large star tip with Betty Crocker™ chocolate frosting. Pipe on top of the middle layer of each cupcake. 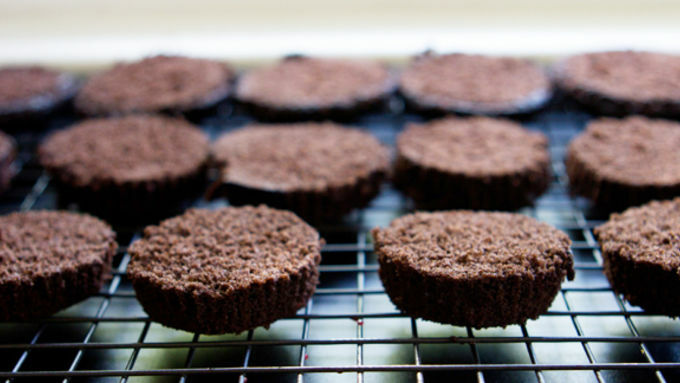 Carefully assemble the cupcakes by placing the second layer on top of the first, frosting sides will be pointed up for both layers. 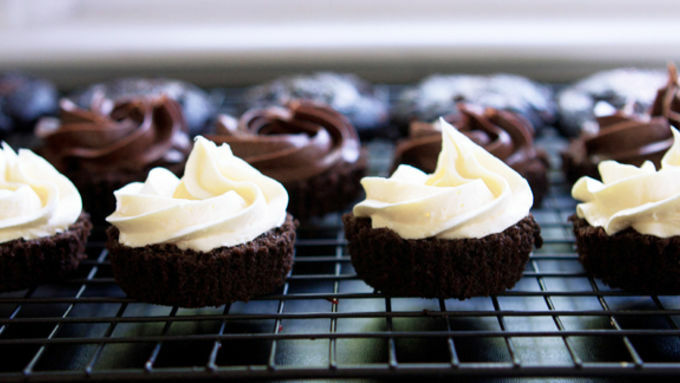 Place the top of cupcake on the chocolate frosting layer, then pipe strawberry frosting on top of the each cupcake from a pastry bag fitted with a large star tip. Serve and enjoy! 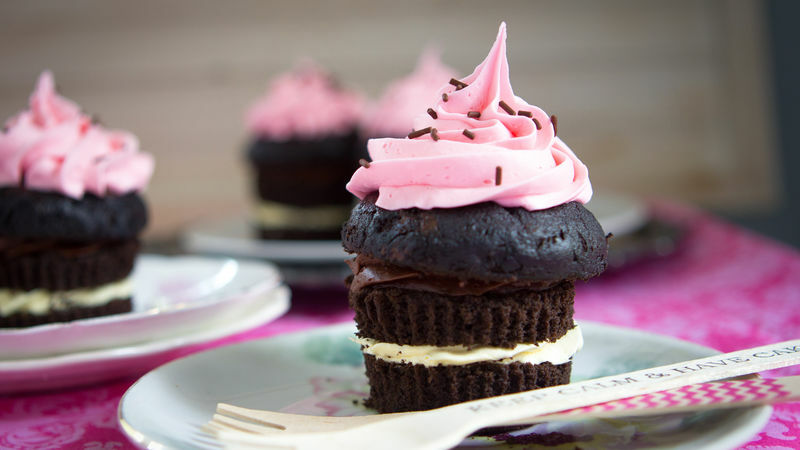 These Mini Neapolitan Cupcakes are easy, but your partygoers will think you bought out the bakery...they're that impressive! They say Neapolitan had this complex about being short and looking in the mirror a lot. Or was that Napoleon? Or am I getting it all confused with Narcissus? Regardless of the historical accuracy of this post, you're about to discover cupcakes boosted to extreme heights with three layers of gorgeous frosted color, and a whole lotta pretty. Neo and Narc would be so proud! 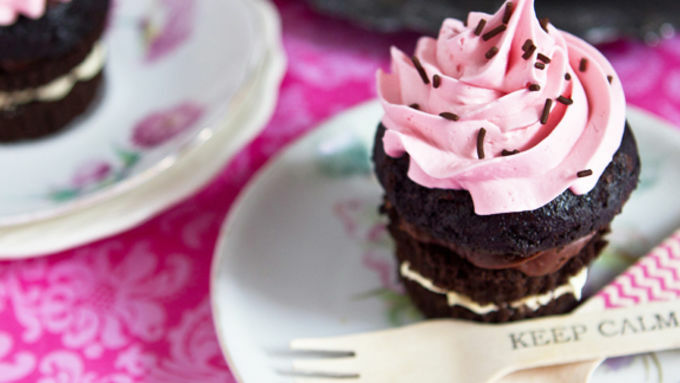 Don't you love those bake-shoppe finished products that you can make from a box? Just one stop down the baking aisle and you've got everything you need. No fussy ingredients or need for wacky craft supplies. Cake, icing, heaven. This recipe is one of those recipes. So easy, but so gorgeous.